He's the man behind the classic riffs to "(I Can't Get No) Satisfaction," "Jumpin' Jack Flash," and "Start Me Up." He's so bad, he's admitted to snorting just about everything you can think of, including the ashes of his dead father. 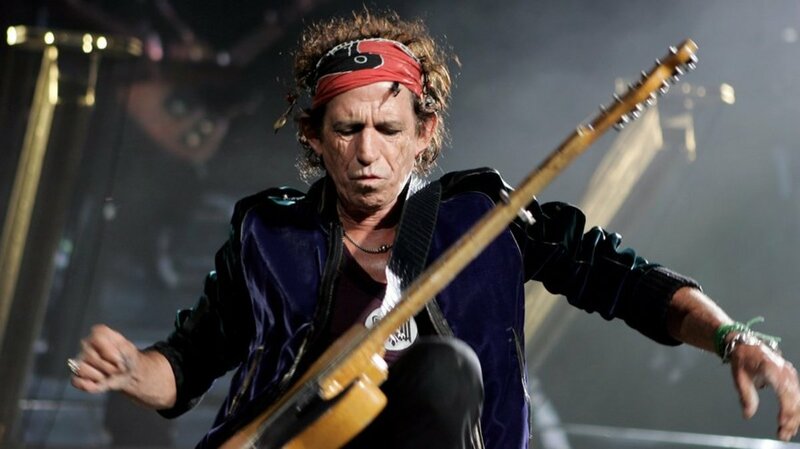 And Keith "Keef" Richards, whose colorful history in rock 'n' roll has included more than a dozen of the songs listed in Rolling Stone's "500 Greatest Songs Of All Time," is still the man with the longest running career in show business. 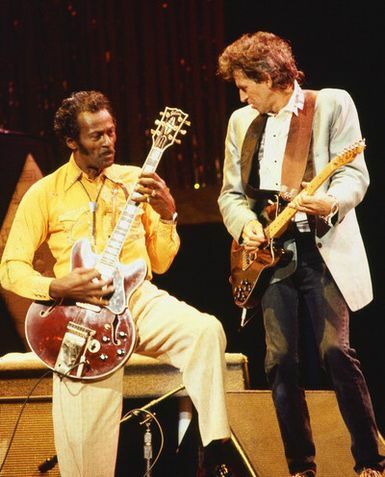 If he had to pick the single greatest musical influence in his career, Richards would likely name American rocker Chuck Berry. That's surprising because of the fact that Barry was all the way across the Atlantic when Keith was growing up—in England. Keith Richards was born in Dartford, Kent, on December 18, 1943. 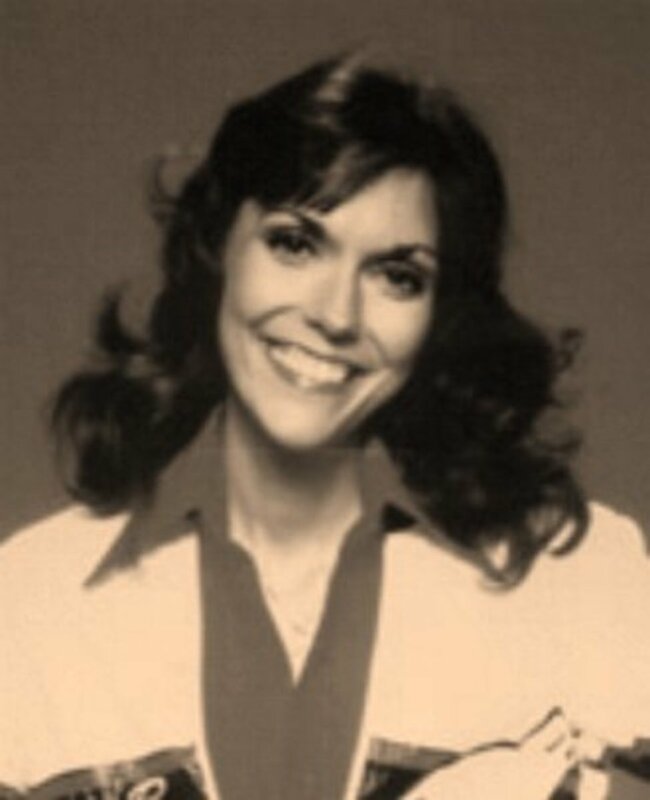 Richards' mother was a jazz fan, playing Billie Holiday and Duke Ellington for him, and even buying him his first guitar: a Rosetti acoustic. He started work on the bad boy image early, getting expelled from Dartford Technical School, and enrolling at Sidcup Art College. Around that time the fated meeting on the train happened, and Jagger, who was playing in a band called Little Boy Blue and the Blue Boys, invited Keith to one of their rehearsals. Shortly after that, they met Brian Jones and Ian Stewart, and the core of the Stones was formed, with Stewart on piano, Mick Jagger on vocals, Richards on guitar, and Brian Jones playing just about everything except the kitchen sink. Richards has never been a virtuoso player, dismissing those whose aspiration is to play the "mostest, fastest" as a "fastest-gun-in-the-west sort of thing." Rather, his unique talent has been coming up with riffs that tear open your ribcage, grab your heart with both hands, and never let go 'til the song is through. It's what he did with "Satisfaction," starting the song off with that simple but arresting riff off the A-string: "2-2, 2-4-5, 5-5-4-2-2," repeated over and over again. Still, it was so popular when the song came out that you couldn't find a Gibson Maestro fuzzbox for sale anywhere by the end of 1965 (the effects box Keith used for the riff). "Jumpin' Jack Flash" in 1968 meant a split from the Eastern-music style that was sweeping England and that other famous English band, the Beatles, at the time. The song isn't too difficult, just basic fifth chords with a little bit of fancy fingerwork thrown in—but it sounds just delicious on Malcolm (one of his two Fender Telecasters with Gibson PAF humbucker pickups in the neck position). This particular guitar is reputedly kept in "B" tuning (B, F#,B, D#,F#, and no 6th string) and is also the one Richards uses for "Happy" and "Tumbling Dice". A standard tuned '52 Butterscotch Blonde Telecaster with stock pickups rather than Gibson PAFs is used for the much later "Start Me Up." But Fenders aren't the only guitars Keith uses. 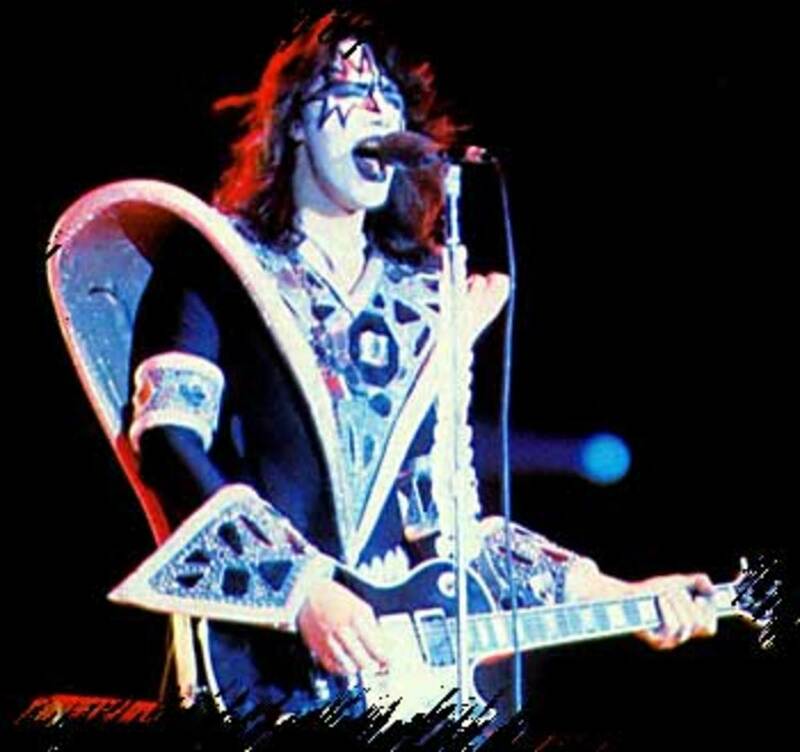 He was the first "star" to own a Gibson Les Paul in 1964, a 1959 Bigsby-equipped sunburst model, the predecessor of what would later come to be called "whammy bars". He still uses Gibsons for stage performances today, most notably a Cherry Red Gibson ES-355 for "Gimme Shelter," "Waiting On A Friend," and "Thief In The Night." And he went on record as saying that the Music Man Silhoutte was "the first new guitar in years that has the quality of Fenders & Gibsons of the 50's," using it as his main stage guitar during the Winos tour. In the end, though, Richards put it best when he told a Guitar World interviewer in 1986 that no matter what model he plays, "give me five minutes and I'll make 'em all sound the same." 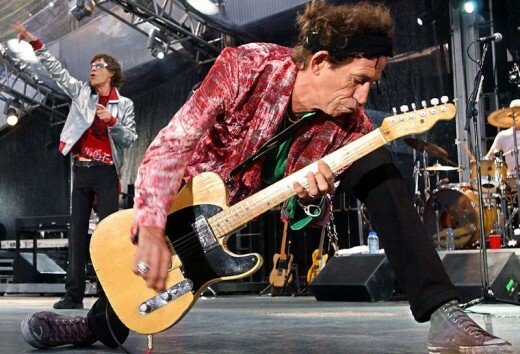 For whatever reason, Keith Richards has never gotten around to setting up a deal for a signature model Telecaster in the U.S. There was a Keith Richards Signature model produced in Japan in 1996 under the Fender CIJ label, short for "Crafted in Japan." Highly recommended recording and production studios. Thanks both of you! James do keep an eye on my other guitar greats hubs - it's a big series. Ethel yes he looks prunelike doesn't he? I thoroughly enjoyed this Hub about the riff master himself, Mr. Richards. My band used to play a lot of their material. 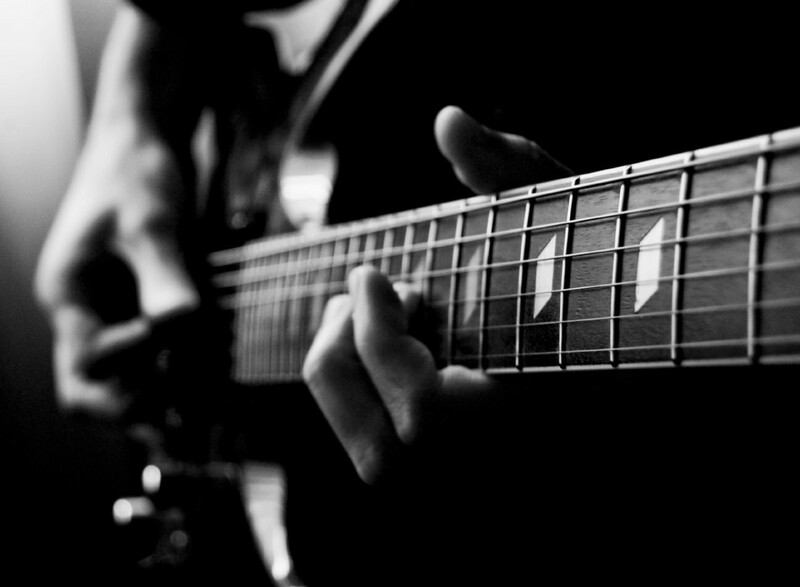 I always loved the guitar lines in "Brown Sugar" and "Honky Tonk Woman". You know your stuff and that made this a pleasure to read. Thanks. 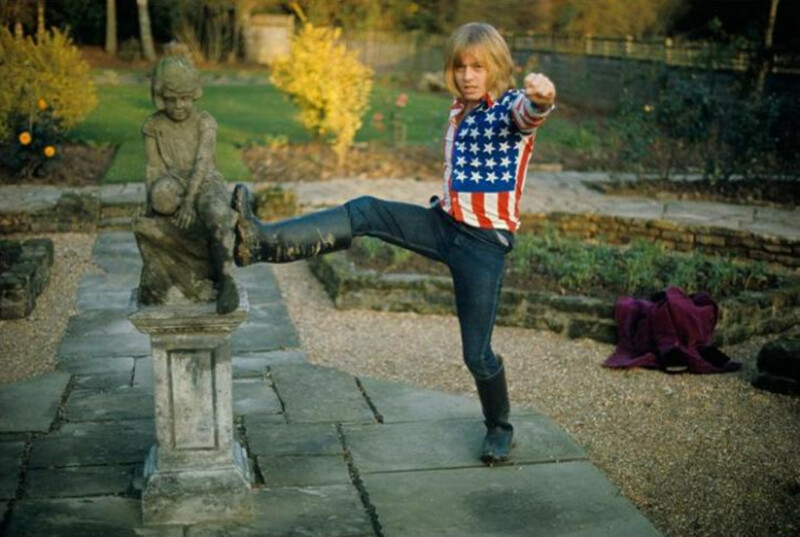 My first love the Rolling Stones and in particular Brian Jones. Keith just looks so old now. I guess that's the sign some serious living.